A superb collection of hilarious golfing stories based on years of adventures on golf courses around the world. Have you ever thought of throwing your clubs with a bit of draw? Or deliberately playing slowly to rattle the opposition? Have you used the well-timed tactless remark to gain advantage? This book tells you how such behaviour rebounds on the club golfer. The author Forbes Abercrombie is a retired surgeon who took up golf in his early twenties, getting down to a single figure handicap at his best. There is something for everyone in this volume. A word of warning though; this is not recommended bedtime reading, as you will have finished the book before you can put it down! 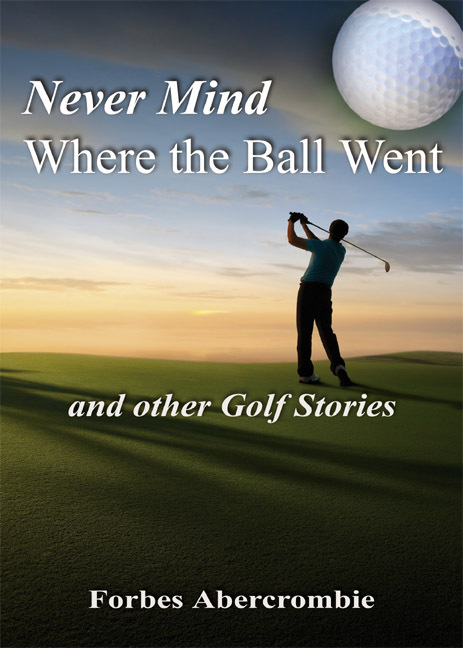 Delightfully entertaining golfing stories based on real life adventures.